Mad about debugging? 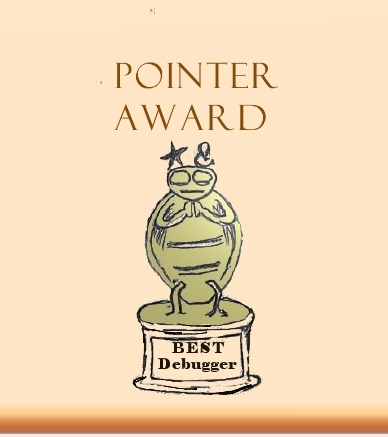 Join the annual competition by telling your Windows debugging story (*) or nominating a person after 7/7/2011 and before 8/8/2011 (**). This year main prize is 5 volumes of Memory Dump Analysis Anthology + Color Supplement for Volumes 1-3 + Color Supplement for Volumes 4-5 with supplements signed by the author. (*) DumpAnalysis.org reserves the right to publish your story (in a modified form if necessary) in OpenTask magazines and books with full credit. (**) 7/7 and 8/8 are originally proposed Memory Analysts and Debuggers Days.